A handy travel-sized version of REF. 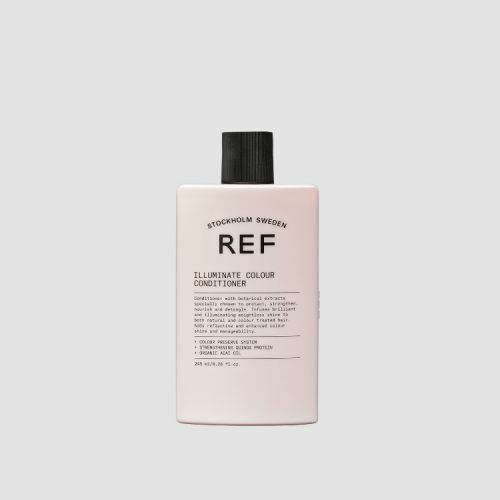 Illuminate Colour Shampoo. 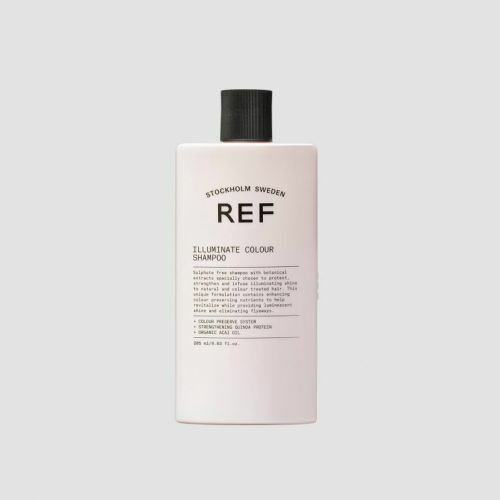 A specialist sulphate-free shampoo for coloured hair. Wet the hair with warm water. Massage REF. Sulphate Free Colour Shampoo through the hair and rinse. Leave it in for 90 seconds before rinsing it out. This will help the hair to reap the benefits.